Most of the early internal projects at Graphicacy were products of passion and abundant free time. 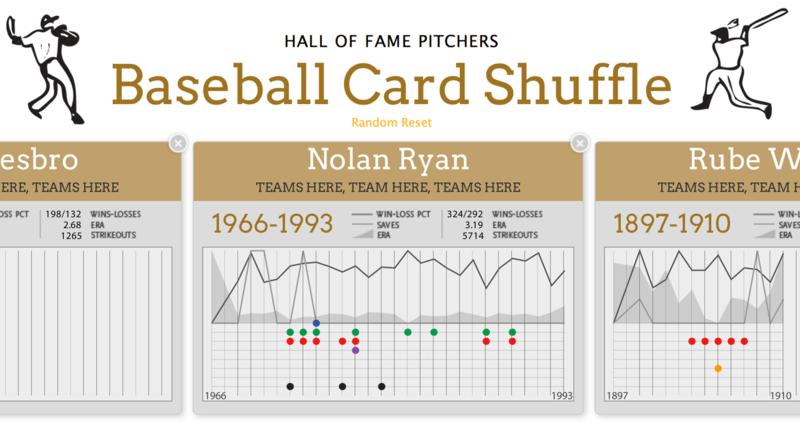 The Baseball Shuffle Deck puts all the Hall of Fame pitchers into a gallery for comparison. It was not my passion at the time, but taught me so much about baseball that I went to watch the Nats games several times and decided to be a Cardinals fan. 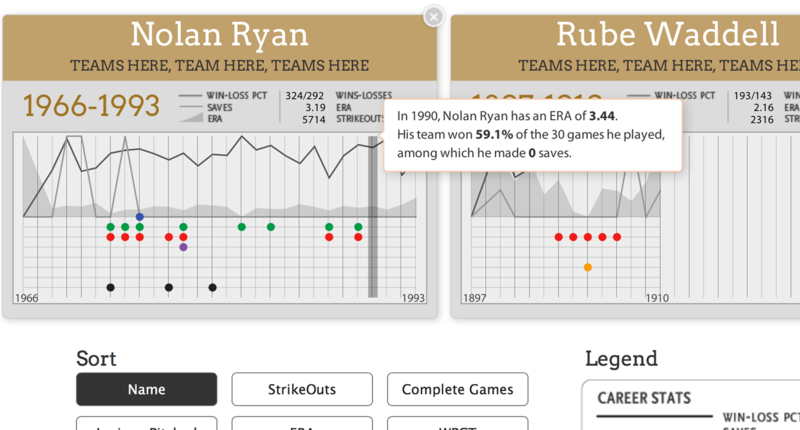 The project was inspired by this NYT interactive. It was my first use of the Isotope library. 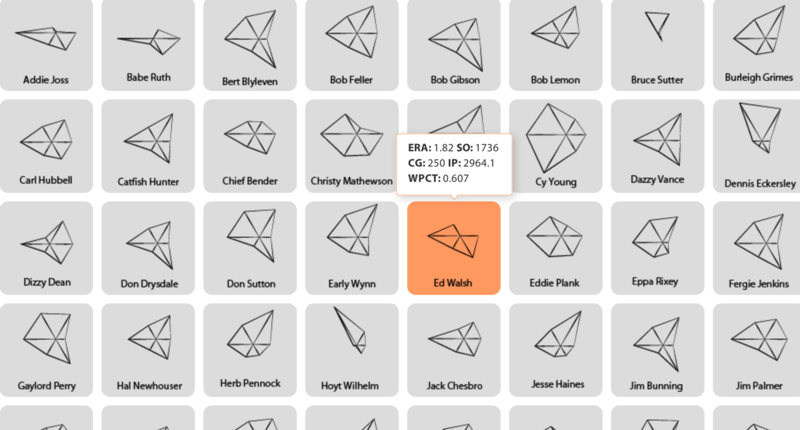 I also scrapped tons of baseball data from Baseball Reference.